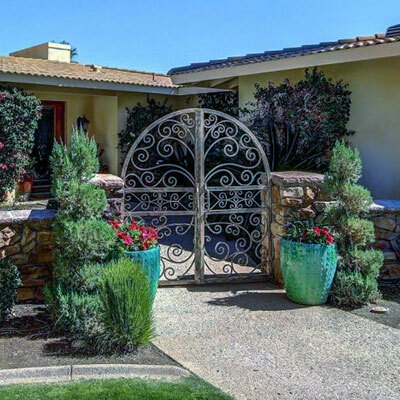 Adding a custom gate will enhance the appearance and functionality of your Glendale, Arizona home. 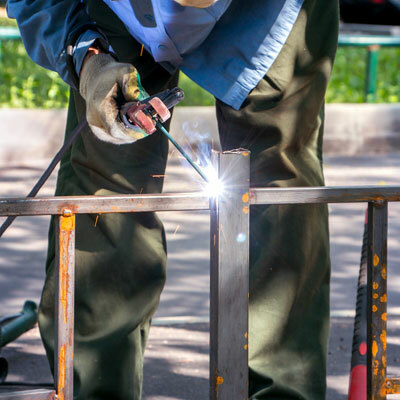 General Fence Company is experienced in custom gate construction and fabrication including RV gates, courtyard gates, and more! Contact us today to see how we can help with your project. An RV gate allows you to use space on the side of your house for storing an additional vehicle or motorhome, recreational vehicles, or trailers. Installing a side gate or RV gate allows you to store your items off the street and out of sight from HOAs and neighbors. Nothing makes a first impression like a custom gate for your front or back courtyard. A decorative entryway can add a touch of class and charm to your property, while also being functional at keeping dogs and other pets out of a garden area. When it comes to custom gates, look no further than General Fence Company! We can design and fabricate a custom gate to meet your needs. A variety of different materials are available to match your existing decor. ©2017 General Fence Company LLC.